Paul has done it again. 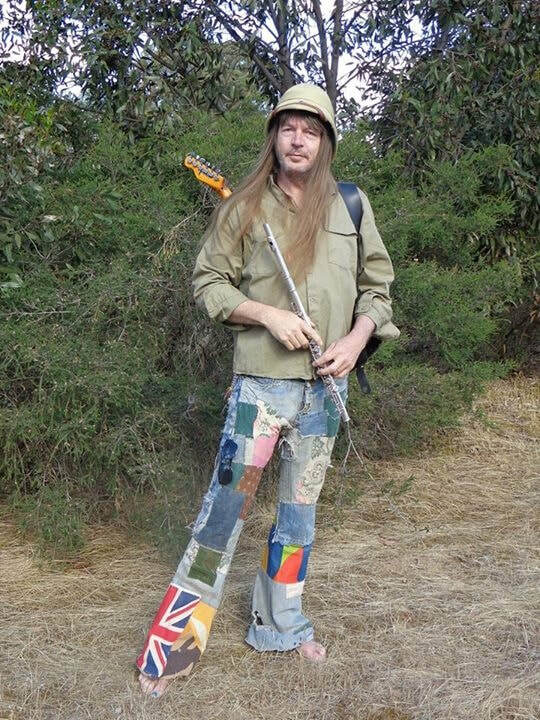 Whilst the rest of the band do whatever it is they do, he was locked in his garret, tuning flutes, grinding guitars and coaxing spacenoise from beyond the atmos. 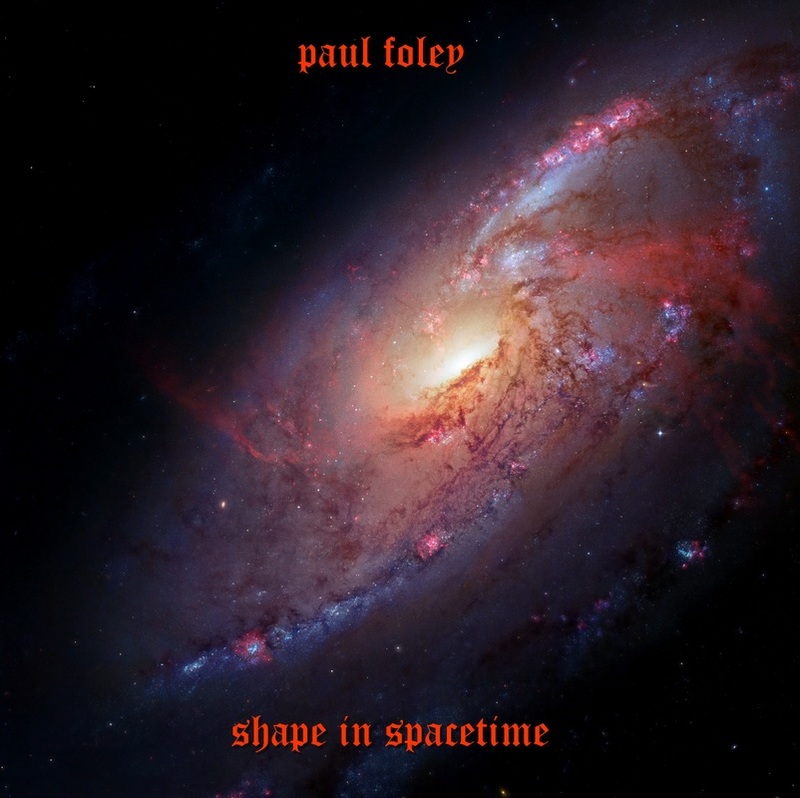 The new album of tunes from the inimitable Paul Foley. "Shape in Spacetime"
Check it out on our albums page and buy it in our store. 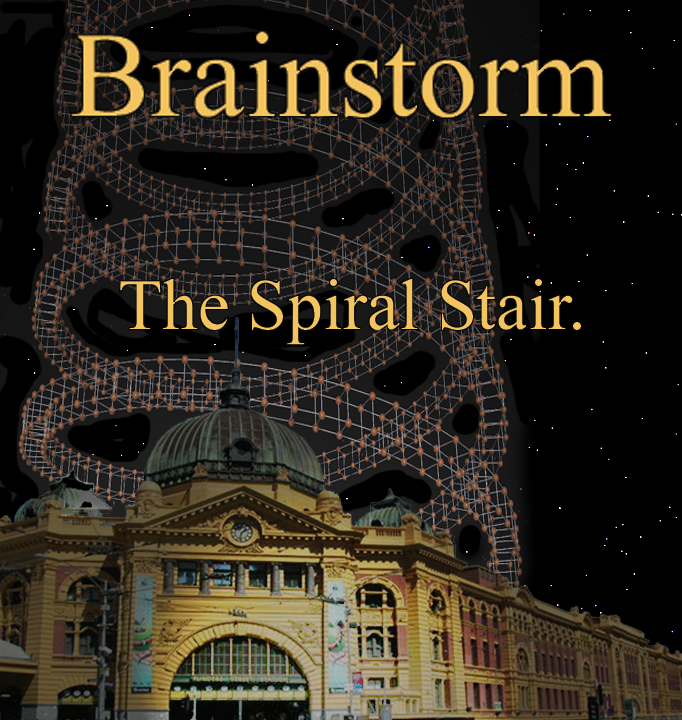 The 2013 Brainstorm album: "The Spiral Stair". Latest Brainstorm CD, "The Spiral Stair" now available, released hot off the presses at our 25th Anniversary gig. Lyrics available on the lyrics page. Audio files will be posted to this site soon. To order go to the album page or the Buy CDs page. 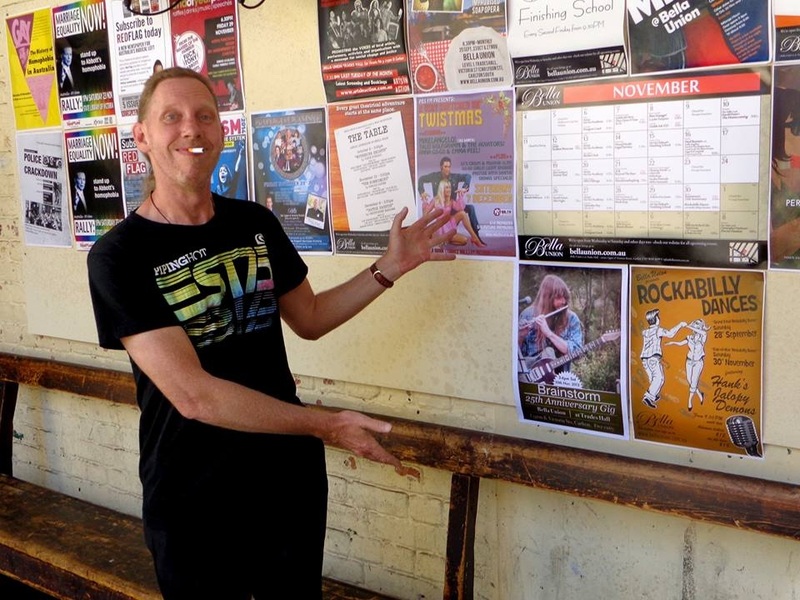 Brainstorm's 25th anniversary gig was held on 30/11/2013. Sincere thanks to all those who came along to help us celebrate our first quarter-century, including old Brainstorm Troopers Karl, Mick and Phil, and to everyone else who has supported us over the long and many years. See "gallery" page for more photos. 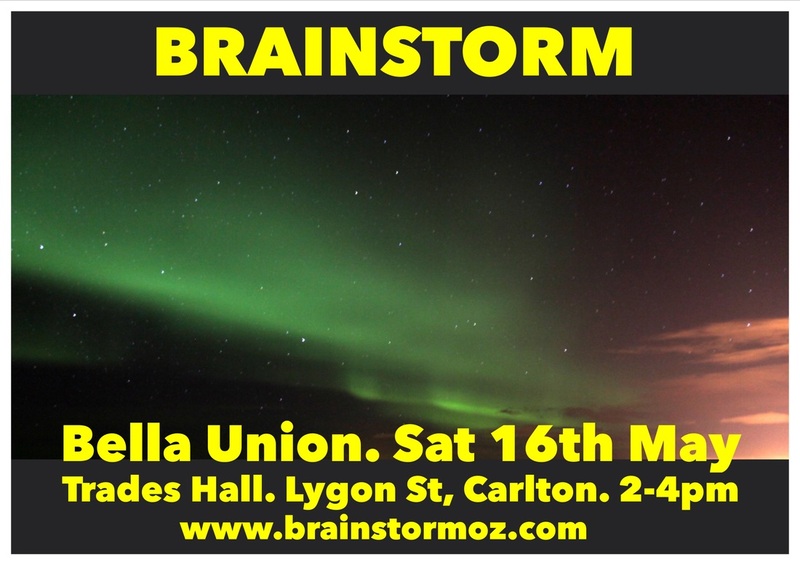 This work by Brainstorm (Australia) is licensed under a Creative Commons Attribution-NonCommercial-ShareAlike 3.0 Unported License. Based on a work at www.brainstormoz.com. Permissions beyond the scope of this license may be available at www.brainstormoz.com.